A U.S. Navy sailor from New Jersey was identified Wednesday as the victim in a propeller accident that occurred Monday aboard the aircraft carrier USS George H.W. Bush. Joseph Min Naglak, an aviation boatswain’s mate (handling) airman apprentice, died Monday after he was struck by the spinning propellor of an E-2C Hawkeye aircraft, according to the Navy Times. Naglak, 21, was a New Jersey native and graduate of West Windsor-Plainsboro High School North in Mercer County. Naglak had been in the Navy for about a year and a half prior to Monday's fatal incident. 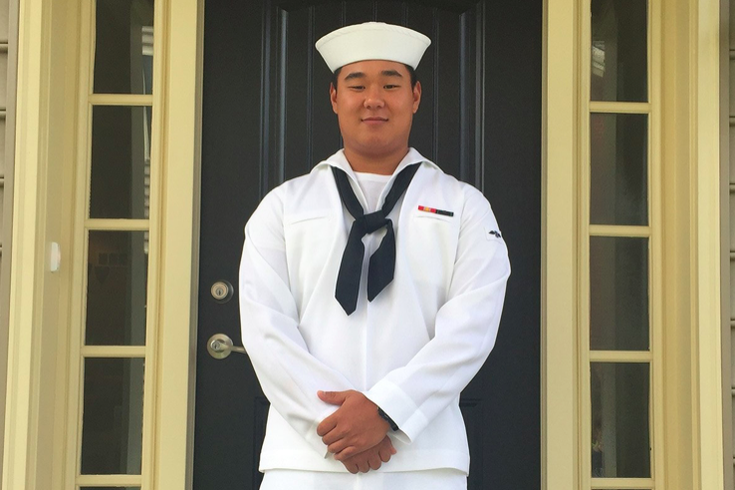 He enlisted in 2017 and completed training in Great Lakes, Illinois and Pensacola, Florida, before he joined USS George W. Bush in August 2017. Navy officials said the cause of the incident remains under investigation.